Set sail aboard the tall ship “Ra Marama” or sailing catamaran “Fiji One” departing Denarau daily and cruise to Tivua Island – surrounded by a white sandy beach and 500 acres of coral gardens. 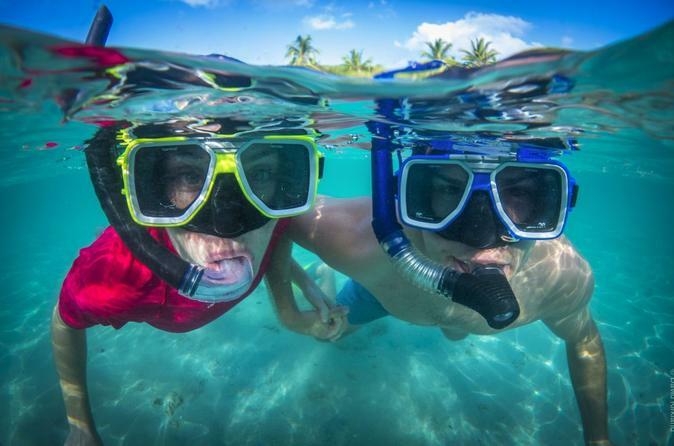 The cruise includes snorkelling & glass bottom boat tours, a tropical buffet lunch, morning & afternoon tea, beer, wine & soft drinks on Tivua Island, kava ceremony & entertainment, volleyball, use of canoes, snorkelling equipment & beach mats. Departs Denarau Marina at 10:00 am and returns at 5:30 pm. Learn more about some of Fiji’s rich history, culture and traditions. Fiji Jet Boating Adventures will introduce you to a slice of Navua River’s scenery that only a select few have ever seen. The jet boats are custom built for the Navua River, specially designed to run on very shallow water. They are well maintained and meet all Fiji Marine Safety requirements. Upon arrival at our departure point in Navua Town, a safety briefing will be conducted to ensure that everyone is aware of the rules and regulations. Life jackets are compulsory.